The string of mob lynchings across India over the last year, fueled by false rumors that went viral on social media platforms and messaging apps, raised serious concerns among Indian authorities which have little control over how and what kind of information is shared on these platforms. This problem continues to gnaw at the country and is likely to grow more challenging as India — the world’s largest democracy — gears up for the national election this summer. Though WhatsApp has made deep inroads into India with more than 200 million subscribers — making the country the largest market for the Facebook-owned company — messaging apps such as Telegram are gaining currency in India as well. Telegram has more robust security features than WhatsApp with fewer limits on the number of people who can join a channel. These features greatly inhibit the moderation of disinformation, which if left unchecked can have serious and even deadly consequences. The electorate is politically fired up and multiple parties are in the fray to win a majority in the lower house of the Indian parliament to be able to run a country of 1.3 billion people of diverse religious and cultural identities. This combination offers fodder for propaganda, political mudslinging, and hate speech, making social media and messaging apps a fertile ground for such exchanges. This is especially true because they provide the ease of sharing content in multiple Indian languages. The availability of low-cost smartphones along with a significant drop in the price of data plans in recent years have made messaging apps incredibly popular in India. According to a recent Time Magazine article, 39 percent of Indians own a smartphone; and therefore, are most likely to use a messaging app. This figure has almost doubled since India held its last election in 2014, when only 21 percent of Indians had a smartphone. Founded in 2013 by Russian brothers Pavel and Nikolai Durov, Telegram boasts an advanced “secret chat” function which if activated can notify users when someone takes a screenshot of a conversation, disables message-forwarding capabilities, and “self destructs” messages — deleting them forever off of any device. Like WhatsApp, it also offers end-to-end encryption (meaning that only the users sending and receiving messages can read them). Telegram currently has over 200 million monthly users worldwide. We were unable to learn more about its demographic breakdown in India, despite having reached out to the company multiple times across several different platforms. Through our research, we discovered that it supports messaging in limited regional Indian languages. 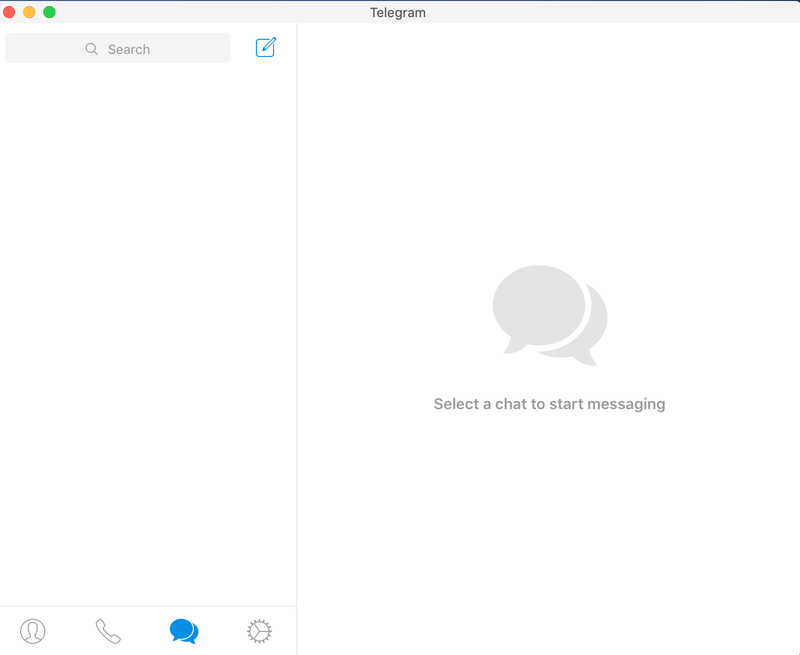 According to Telegram’s website, the app allows users to create private groups comprising up to 200,000 members as well as public channels that can be accessed by anyone who has the app downloaded. Its heightened privacy, broadcast potential, and lack of censorship in private groups can be exploited by malicious actors to disseminate disinformation. In fact, Telegram has been dubbed “the app of choice” for many terrorist groups as it has enabled them to interact on a messaging platform without fear of content moderation. The Islamic State is known to use the app to spread propaganda and organize attacks. Telegram is like an iceberg. You can have access to what looks like a substantial amount of public channels only to realize there is a plethora of private ones submerged underneath. Though WhatsApp also has encrypted private channels, the added privacy benefits of Telegram make it even harder to understand the extent to which it is already being used for nefarious purposes. It wasn’t the first time a country sought to ban Telegram. Both Iran and Russia have attempted to block the messaging app despite its widespread popularity in both nations, but many users found a way to use the app through virtual private networks, or VPNs. The Indian Muslims Family is a public Telegram channel with a small following of roughly 170 members. The mention of Ayodhya, a city in the Indian state of Uttar Pradesh, should be noted. For decades the Hindu right have fiercely campaigned to rebuild the temple of the revered god Ram in the heart of the city — which many Hindus believe is the god’s birthplace, and where the Mughal ruler Babur destroyed a Hindu temple in the early 16th century to build a mosque. The temple-mosque dispute has been under litigation for decades. However, for the Hindu nationalist Bharatiya Janata Party (B.J.P.) 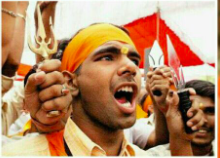 currently running India under the prime ministership of Narendra Modi, the temple politics has been a rallying cry to galvanize their Hindu support base. Prominent leaders of the B.J.P. were involved in tearing down the mosque in Ayodhya in December 1992 that sparked riots between India’s Hindu majority and sizable Muslim minority and killed nearly 2000 people across the country. Keeping this context in mind, and based on the caption of the image, we would assume the above are photos of Hindus in or near Ayodhya as of November 2018. Initially, we attempted to reverse image search the entire photo online; however, it did not render any results. So instead, we decided to break it up and first tackle the image of the man on the left with the orange headband. We found multiple search results only on Yandex, a Russian search engine with excellent facial recognition with reverse image search. The most relevant image led us to a blog post in English from January 2016 published by Popular Front of India, an Indian extremist group. 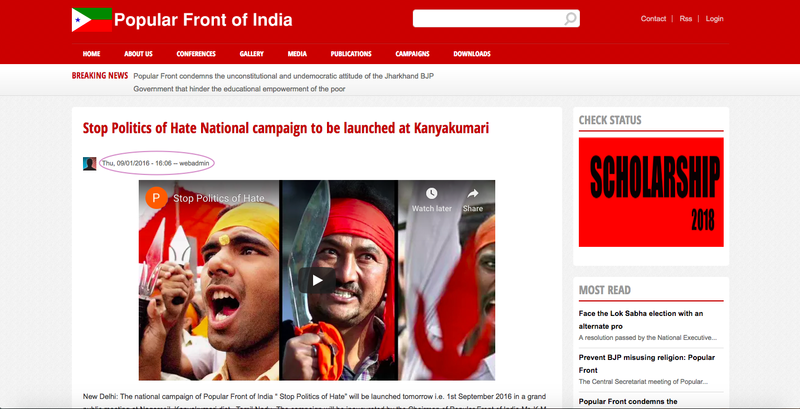 The picture was used in the context of a campaign in the southern Indian city of Kanyakumari. This confirms that the image could not have been taken in Ayodhya in November 2018. 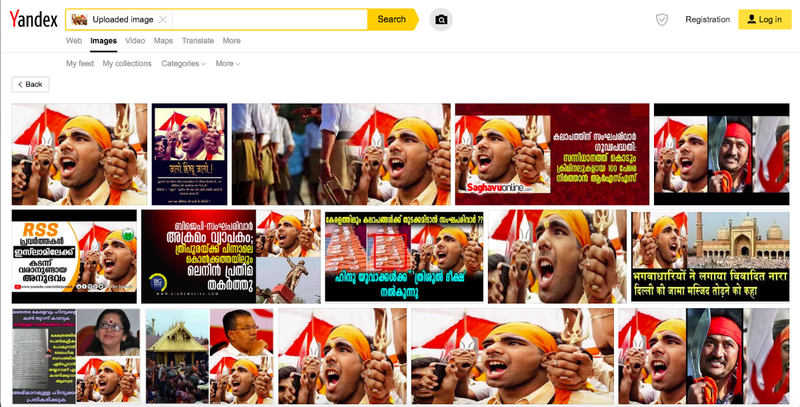 The next image search we undertook was for the man brandishing a knife in the purported image from Ayodhya, which too yielded numerous results on Yandex. 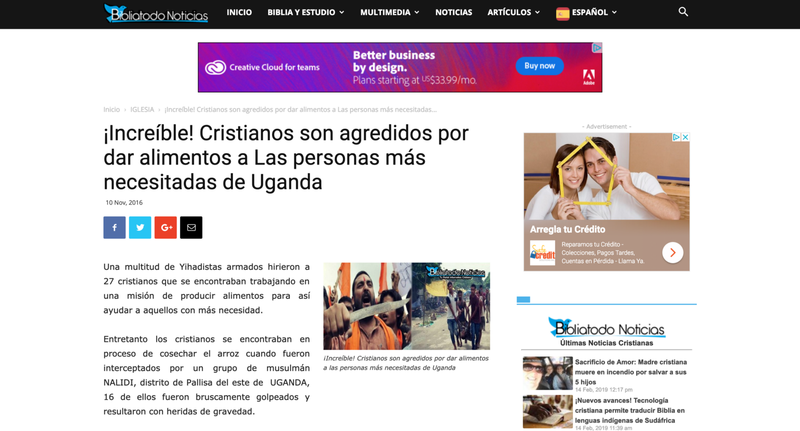 Upon investigating these duplicate pictures, we stumbled upon a blog post featuring the image from November 2016 on a Spanish-Christian news site. It claimed that the image represented a group of Muslims attacking Christians for giving food to the poor in Uganda. The post from the Indian Muslims Family Telegram channel purported that the men pictured were Hindu, but this older blog post claims the man on the right is Muslim. While we may not know the actual source of these images, we do know that neither of them were taken in Ayodhya during 2018. The image shared on the Indian Muslims Family public channel is a perfect example of disinformation being spread through Telegram. There are also several pro-B.J.P. accounts on Telegram. One such account called Bharatiya Janata Party (BJP) claims to be the party’s official Telegram account. On February 1, 2019, that account commented on a tweet from Rahul Gandhi, President of the Indian National Congress, which is the left-leaning party leading the opposition. He was compared to Mussolini and accused of spreading “fake news” by citing that India had the highest unemployment rate in 45 years. Upon further research, we learned that India could well be facing its highest unemployment rate in more than four decades. On February 6, 2019, Business Standard reported that India’s unemployment rate of 6.1 percent is at a 45-year high based on a government report that the paper obtained. To further add to the credibility of this claim, Reuters, CNBC, and Al-Jazeera all reported the same figures. Despite the Telegram account’s claims that Gandhi is peddling disinformation, it’s clear that he did not fabricate the statistics. 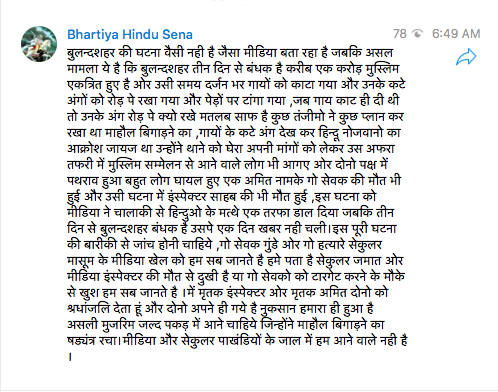 On December 5, 2019, a right-wing Hindu public channel on Telegram called Bhartiya Hindu Sena (Indian Hindu Army) posted the above message in Hindi. 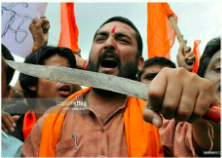 It blamed the media for being biased against Hindus in reporting the violent clashes that had broken out two days prior over the alleged slaughter of cows in Bulandshahr, a city in the Indian state of Uttar Pradesh. According to media reports, a mob of about 400 people was involved in the violence that resulted in the death of two people, including a police official. Cow killings have long been deeply offensive to Hindus as cows are considered sacred to their religion. However, cow vigilantism and politics over the cow have become especially predominant in India under the Modi government. A large number of Muslims had gathered in Bulandshahr around the time of the mob frenzy, reported The Wire, an online news publication in India. However, they were there to participate in a religious congregation some 30 kilometers, or about 18 miles, from the site of violence, according to The Wire’s report. 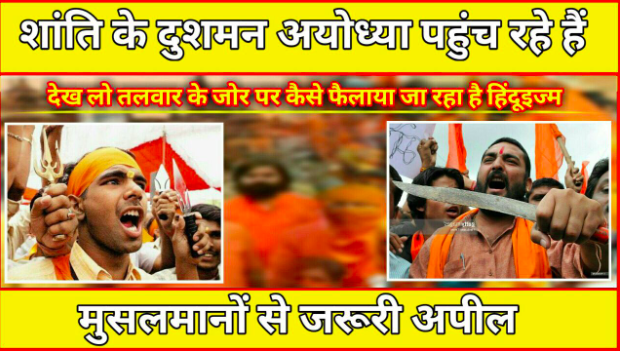 Muslims did not incite the violence that occurred in Bulandshahr. But, the post from Bhartiya Hindu Sena claims otherwise and promotes a false narrative of the dispute. All three examples of disinformation highlighted above were found on public Telegram channels. Though the most popular channel of the three has just over 200 followers, the exact number of people who can publicly view the channel is unlimited. Think of it as a public Twitter account, which anyone can view as long as they’re on Twitter’s website. That being said, Telegram as a company does have the ability to take down public channels and has done so in the past. In 2017, after Indonesia partially blocked access to the application due to the number of public channels launched by extremist groups, the messaging app removed all terrorism-related public channels reported by the Indonesian government. As the Indian general election draws near, we recommend that Telegram works on solutions to combat the spread of fake news on its public channels and in private groups. One such solution would be to create fact-checking Telegram bots, such as the one proposed by the BBC News Labs. Essentially, this bot, which the team named Judge Judy, can be invited into private Telegram chats and can state whether or not messages or articles posted in the chat are trustworthy. If we have learned anything from the WhatsApp lynchings in India, it’s that the country is highly sensitive to rumors, especially with regard to deeply intertwined religious and political beliefs. All the examples of disinformation we have showcased had religious or political undertones that have been previously used to incite violence. In India, disinformation can be deadly, and Telegram could be the means through which the next fatal rumor is spread.